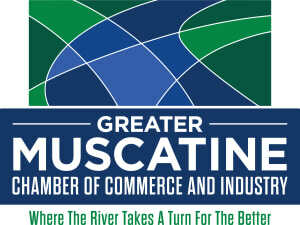 GMCCI is committed to create and retain jobs and increase the area’s tax base by marketing the areas’ assets to business development targets and by assisting the expansion and retention of existing businesses. We ensure maximization of resources by teaming our assistance with other local, state and regional business development and quality of life efforts. We work to improve the business climate and community quality of life by taking a leadership role in the areas of business retention and growth, recruitment, information, advocacy, community marketing and improvement initiatives. From providing up-to-date information about the demographics of Muscatine to assisting new business start-ups to facilitating incentive packages within the state and local governments, we are here to help your business grow. Questions specifically regarding Economic Development may directed toward Greg Jenkins, GMCCI’s Vice President of Economic Development.